In the fast paced security industry, documentation and client reports are vital to creating peace of mind for you and your business. At Signal 88 Security our custom software provides you with real-time updates and reports, increasing the accountability of our officers and the transparency of our services. 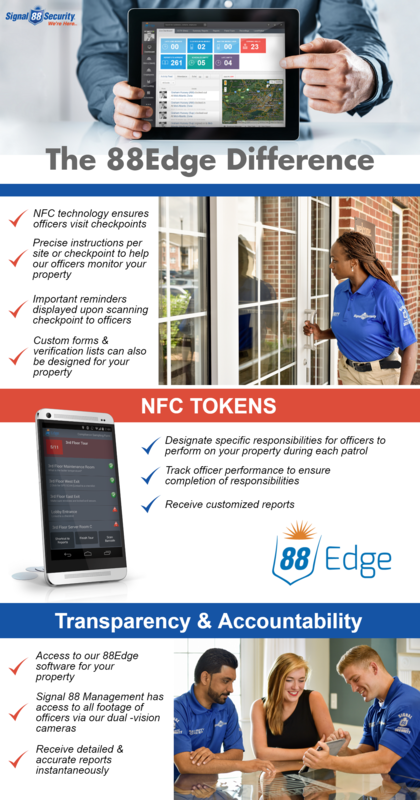 88Edge provides consistent reports that will be sent to you daily allowing you to have peace of mind knowing that we are here, always, to secure what is most important to you and your property. Read through our infographic below to learn more about our industry-leading, innovative technology. Click here to download our 88Edge infographic.